Ask, and it will be given to you; seek, and you will find; knock, and it will be opened to you. For everyone who asks receives, and the one who seeks finds, and to the one who knocks it will be opened, Matthew 7:7–8 ESV. Do we believe Yahshua’s own words here and what He is telling us? He is saying that everyone that asks receives. We, of course, have to consider this in context of Scripture and it may actually be best to ask before baptism for any special gift, specifically, since that is when the Spirit is given, and a gift or gifts are also given at that time, the time of the laying on of hands by the elders. When we say "in context of Scripture," what we mean is, we are not to, and cannot expect to, ask for things that are sinful or unlawful. We also must consider what we’re asking for - is it a selfish request or one that will help others? Believing, without doubting, of course, is also a necessity. If any of you lacks wisdom, let him ask of Yahweh, who gives to all generously and without reproach, and it will be given to him. But he must ask in faith without any doubting, for the one who doubts is like the surf of the sea, driven and tossed by the wind. For that man ought not to expect that he will receive anything from the Master, James 1:5–7 NASB. Every good gift and every perfect gift is from above, coming down from the Father of lights, with Whom there is no change, nor shadow of turning, James 1:17 TS. It's a good thing to receive a good and perfect gift, the main one being a portion of the Spirit itself. But the Spirit provides us with teachers and evangelists and others to help us be united in the Body of Messiah. The gifts He gave were that some would be apostles, some prophets, some evangelists, some pastors and teachers, to equip the saints for the work of ministry, for building up the body of Messiah, until all of us come to the unity of the faith and of the knowledge of the Son of Elohim, to maturity, to the measure of the full stature of Messiah, Ephesians 4:11–13 NRSV. We must no longer be children, tossed to and fro and blown about by every wind of doctrine, by people’s trickery, by their craftiness in deceitful scheming. But speaking the truth in love, we must grow up in every way into Him Who is the head, into Messiah, from Whom the whole body, joined and knit together by every ligament with which it is equipped, as each part is working properly, promotes the body’s growth in building itself up in love, Ephesians 4:14–16 NRSV. Being mature in Messiah, means we won’t be taken away by all sorts of weird non-scriptural teachings or, as said here, "every wind of doctrine." It means we will be stable, but stability can take some time to achieve. This is why there are teachers and evangelists of the Word which are provided. This is one reason why we have a requirement of any brethren, new or old, who seem to have some "new truth," to share it with the elders first, until it can be proven to be true or not. This helps prevent confusion or false doctrines being brought into the body. An assembly which holds and teaches alternative beliefs among themselves promotes confusion, rather than unity. As Paul explains in Ephesians 4:15 NRSV, “we must grow up in every way into Him Who is the head,” speaking of the Messiah. We can ask Yahweh for guidance and understanding of His Word and Spirit, so we may walk therein and help others along the way, fulfilling the love of Yahweh in our lives. Do we want good things, good gifts from Yahweh? Of course. Then we are to walk uprightly according to His Word, just as His Word tells us how to walk uprightly. In the Scripture above, it says, “Yahweh Elohim is a sun and a shield." He provides the light and warmth we need, and also the protection and even shade, when it is needed. In all of this, we are to trust He will provide. We may not think of rest as a gift, but it is a promise from the Master for those that come to Him. But, when it comes to the gifts of the Spirit, we see Paul describing them in the following verses of 1 Corinthians. Now there are varieties of gifts, but the same Spirit; and there are varieties of service, but the same Master; and there are varieties of activities, but it is the same Elohim who empowers them all in everyone. To each is given the manifestation of the Spirit for the common good. For to one is given through the Spirit the utterance of wisdom, and to another the utterance of knowledge according to the same Spirit, to another faith by the same Spirit, to another gifts of healing by the one Spirit, to another the working of miracles, to another prophecy, to another the ability to distinguish between spirits, to another various kinds of tongues, to another the interpretation of tongues. All these are empowered by one and the same Spirit, Who apportions to each one individually as He wills, 1 Corinthians 12:4–11 ESV. After this, Paul starts to describe different workings of the body as just that, a functioning body. With legs and arms, mouth, eyes, and ears. A little further he describes a chronological order of gifts within the working assembly. Now you are the Body of Messiah, and members individually. And Elohim has appointed these in the assembly: first apostles, second prophets, third teachers, after that miracles, then gifts of healings, helps, administrations, varieties of tongues, 1 Corinthians 12:27–28 NKJV. We know that Apostles, who were originally disciples, had seen the risen Messiah, and had been sent forth to preach the Good News and to start fulfilling the Great Commission. If we consider that Paul also spoke prophetically in other areas of his writings, would it be any stretch of our imagination to think that this might be prophetic also, as a deeper layer of understanding we often see given in Scripture? We have been recently inundated with requests and offers to translate our studies along with the Bible Correspondence Course, in particular. The other day we received the first lesson (lesson #1) of the BCC translated into the Madagascan language. If we compare this idea (that is, offers to translate our studies into other languages/tongues) with other areas of prophecy, such as, Matthew 24, we find that the evangel and message of the coming Kingdom of Yahweh will be preached into all the nations as a witness and then the end will come. We realize there is a layer of understanding concerning gifts of tongues when speaking of someone actually speaking in another language, even the heavenly one, Hebrew, but we should consider and keep an open mind about some of these things and what Yahweh’s Word is showing us. How close are we to the end? We don’t know, but we should be about our Father’s business, and use whatever gifts are now available to us for the good of one another and preaching of His Word. As each one has received a gift, serve one another, as good trustees of the manifold favour of Elohim. If anyone speaks, let it be as the Words of Elohim. If anyone serves, let it be as with the strength which Elohim provides, so that Elohim might be praised in it all through Yahshua Messiah, to Whom belong the esteem and the rule forever and ever. Amain (“so be it” or “may it be so”), 1 Peter 4:10–11 TS. Getting back to asking about spiritual gifts, it’s important how one asks and for what purpose. Because, if it is to boast or brag or show off, then no doubt it won’t be granted as specifically requested. But, it appears that the Spirit gives accordingly for the needs that exist. Therefore, when we are immersed, we are given a portion of the Spirit as a gift in itself. Then there is also something else that will work to build up the assembly and Body of Messiah which would be appropriate for the individual granted the gift. For everyone in the Body of Messiah there are some common things which must occur, if we are going to be a pleasing people to Yahweh and to His Son Yahshua. His divine power has given to us all things that pertain to life and righteousness, through the knowledge of Him Who called us by glory and virtue, by which have been given to us exceedingly great and precious promises, that through these you may be partakers of the divine nature, having escaped the corruption that is in the world through lust. But also for this very reason, giving all diligence, add to your faith virtue, to virtue knowledge, to knowledge self-control, to self-control perseverance, to perseverance righteousness, to righteousness brotherly kindness, and to brotherly kindness love, 2 Peter 1:3–8 NKJV. But the fruit of the Spirit is love, joy, peace, longsuffering, gentleness, goodness, faith, meekness, temperance: against such there is no law. And they that are Messiah’s have impaled the flesh with the affections and lusts. 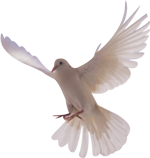 If we live in the Spirit, let us also walk in the Spirit, Galatians 5:22–26 K‎‎	JV. The fruit, singular, is given as love. The other things are connected to it, but if you have them in abundance, then you have love in abundance. Having Messiah rule our lives from within means we’re impaling or putting to the stake the deeds of the flesh and the lusts thereof. If we are submitting to the LOVE within us, that is Messiah according to Yahweh’s Spirit, then we will not be fulfilling our own lusts or things contrary to the Law of Yahweh. There is no law within Yahweh’s Law saying you cannot express meekness - there are no laws against self-control. The idea is that the Spirit gives us self-control along with meekness and all the other attributes associated with the Spirit, none of which are unlawful. This is why, among the gifts of the Spirit, Paul tells us to seek after love most of all, and that it is better and above the rest. And this is not just his understanding, but Peter, as we’ve already seen, has set love as the main goal, because true love incorporates all of the other attributes he mentioned. Earnestly desire the higher gifts. And I will show you a still more excellent way, 1 Corinthians 12:31 ESV. Paul then goes on in chapter 13 to explain that love is paramount. If I speak with the tongues of men and of angels, but do not have love, I have become a noisy gong or a clanging cymbal. If I have the gift of prophecy, and know all mysteries and all knowledge; and if I have all faith, so as to remove mountains, but do not have love, I am nothing, 1 Corinthians 13:1–2 NASB. This is really profound, and many take this to mean loving feelings toward one another and that the law is no longer needed. But “true love” means we keep the 7th day holy; it means keeping our temple undefiled and clean by not eating pork or other designated unclean things that Yahweh has forbidden as food for human consumption. It means calling upon His Name and not following the traditions of men who end up breaking Yahweh’s commandments by keeping their traditions. The Spirit working within us in strength should alert us and keep us from walking in former lusts of the flesh and errors of the traditions of men. The Messiah will bring to our minds the Word of Yahweh so we can follow it and be in line with true love. If I give away all I have, and if I deliver up my body to be burned, but have not love, I gain nothing, 1 Corinthians 13:3 ESV. Paul emphasizes throughout this chapter how important it is to express love in our lives and to seek it with earnest. If I give all I possess to the poor and give over my body to hardship that I may boast, but do not have love, I gain nothing, 1 Corinthians 13:3 NIV. It’s interesting that many scholars still keep with the tradition that the New Testament was originally in Greek, when the evidence clearly points to a Semitic origin. In conclusion, it is appropriate to ask for gifts from above. Keep in mind, however, as we walk through this life and toward the next, we are not only to pay attention and obey every word that proceeds out of the mouth of Yahweh, as Yahshua said (Matt. 4:4), but we are also to seek to walk in the Spirit. This, along with obedience, allows us to express the true love which we find exemplified in Messiah Yahshua. Let’s walk as He did and still does, as He continues to live His life in us, through the gift and love of the Spirit.